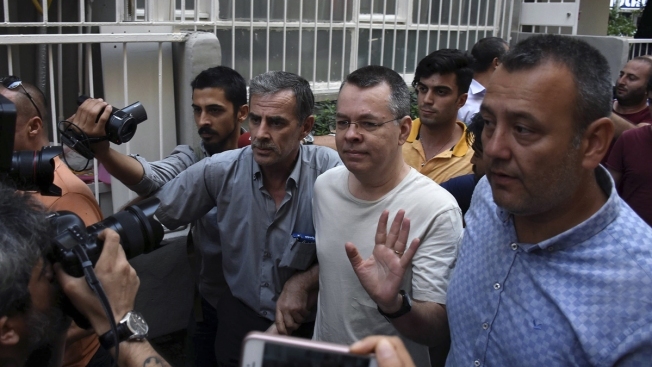 This July 25, 2018, file photo shows American Pastor Andrew Craig Brunson leaving a prison outside Izmir, Turkey. A senior Turkish official on Thursday accused President Donald Trump of endangering long-standing ties between the countries after the U.S. imposed sanctions on two Turkish ministers over the detention of Brunson. A senior Turkish official on Thursday accused U.S. President Donald Trump of jeopardizing long-standing close ties between Turkey and the United States, after Washington slapped sanctions on two Turkish ministers over the detention of an American pastor. Turkey called on the United States to reverse its decision to impose financial sanctions on the interior and justice ministers. Ankara however, also vowed to retaliate against the move aimed at pressuring Turkey, a key NATO ally, into releasing Pastor Andrew Brunson, who is on trial on espionage and terror-related charges. Ilnur Cevik, a senior adviser to President Recep Tayyip Erdogan told The Associated Press in an interview that Turkey was still deliberating possible measures but wanted to "minimize the damage." "Everyone's very disappointed. 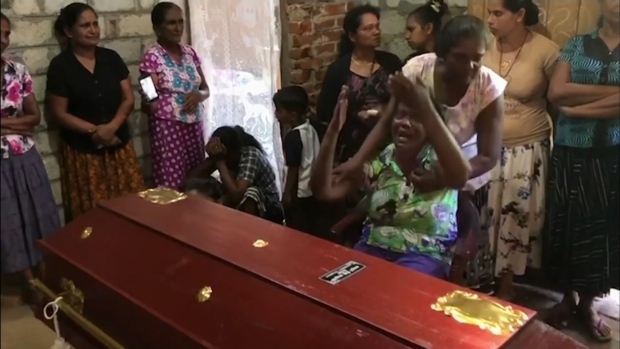 Nobody expected this kind of treatment (toward) two Cabinet ministers," Cevik said. "President Trump is taking a very small case and jeopardizing Turkish-American relations and Turkish-American friendship." "What the Turkish side is doing is not burning all the bridges but trying to keep the bridge intact and try to salvage whatever is left of the relations," he added. The White House said the sanctions by the U.S. Treasury Department would target Turkey's justice and interior ministers, whom it held responsible for the pastor's arrest and detention. Washington insists that there is no evidence against Brunson and says he is being treated in an "unfair and unjust" manner. "President Trump insults the Turkish judicial system," Cevik said. "He says the pastor is being kept a hostage in Turkey. He is not a hostage — he is under trial in Turkey." Soylu on Thursday mocked the sanctions, saying his only asset in the United States is U.S.-based Muslim cleric Fethullah Gulen, whom Turkey blames for a failed coup in 2016 and wants extradited. Soylu tweeted: "We will not leave him there. We will take him." Brunson, 50, was arrested in December 2016 following the coup on charges of "committing crimes on behalf of terror groups without being a member" and espionage. He was recently released to home detention. He faces a prison sentence of up to 35 years if he is convicted on both counts at the end of his ongoing trial. The evangelical pastor, who is originally from Black Mountain, North Carolina, has lived in Turkey for 23 years and leads the Izmir Resurrection Church. The Turkish leader previously connected Brunson's return to the U.S. to Gulen's extradition. The cleric denies involvement in the coup. Meanwhile, Iranian Foreign Minister Javad Zarif condemned the sanctions against the Turkish minister on his Twitter account, saying Washington's "addiction to sanctions knows no bounds."